Services for Schools offer a range of medical services that are cost effective, accessible and undertaken by occupational specific qualified experts who form a team of experienced occupational health practitioners. 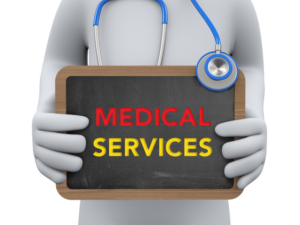 Our service is doctor-led by and provides health advice, health assessment and employee medicals. Our Occupational Health Service will work with Human Resources Support to understand any issues or concerns you have with your staff that have health concerns, illness or disability. They meet with the individuals to understand their health issues and/or disabilities to enable Services for Schools to provide you with the most appropriate advice on how best to support the member of staff. We provide you with a straightforward professional report with suggested reasonable adjustments that may be required to support your employee and encourage attendance at work. Services for Schools provides advice in relation to the Equalities Act 2010 (Disability component) if this is required. Services for Schools may obtain additional information from Specialists or GP’s if necessary and use this information to advise you appropriately. Our Doctor-led service specialises in workplace health issues. and assess new starter questionnaires to assess the fitness and suitability of an individual for a particular job, proving to reduce sickness absence. Services for Schools will familiar themselves with your work environment and are able to tailor the health surveillance programmes to suit your needs.